The Federal Government lists marijuana as a “Schedule I” controlled substance, meaning it has a high potential for abuse and no currently accepted medical use. 21 USC § 812(b)(1). Because there is no current accepted medical use, Federal law prohibits physician from issuing prescriptions for marijuana. 21 CFR § 1306.04(a). However, the Federal Government has traditionally deferred to the States to prosecute small-scale marijuana violations. This lack of Federal enforcement has encouraged the States to enact less stringent controls on the marijuana industry. On August 29, 2013, the Federal Department of Justice issued a memorandum stating that it will continue to rely on State and local authorities to address marijuana activity through enforcement of their own narcotics laws. Nevertheless, in light of new State laws allowing for possession of a small amount of marijuana and regulating production, processing and sale of marijuana, the Department of Justice has designated eight criteria to guide State law enforcement. States must (1) prevent the distribution of marijuana to minors; (2) prevent revenue from the sale of marijuana from flowing to criminal enterprises; (3) prevent the diversion of marijuana from states where it is legal to states where it is illegal; (4) prevent marijuana activity from being used as a cover for the trafficking of other illegal drugs; (5) prevent violence and the use of firearms in the cultivation and distribution of marijuana; (6) prevent drugged driving and the exacerbation of other adverse public health consequences associated with marijuana use; (7) prevent the growth of marijuana on public lands; and (8) prevent marijuana possession or use on federal property. In the event that the Federal Government determines that States are not adhering to such criteria, the Federal Government reserves its right to challenge State laws. Most states that have legalized marijuana have done so for “medical use” only, meaning that consumers must obtain a prescription from a physician prior to purchasing or producing it. For this reason, physicians are often viewed as marijuana’s “gatekeepers”. As an increasing number of states, including Florida, explore legalizing medical marijuana, physicians must educate themselves regarding its uses and challenges. First, prescribing medical marijuana remains a violation of the Federal Controlled Substances Act. A physician who prescribes medical marijuana risks the loss of his/her license to prescribe controlled substances. As recently as April 8, 2014, Attorney General Eric Holder answered questions from House Judiciary Committee members regarding the Federal Government’s selective enforcement of the law as it pertains to marijuana. This area of law continues to develop every day. Physicians who prescribe marijuana as a form of treatment must remain vigilant regarding changes in law. Second, physicians must become educated on when medical marijuana is appropriate as a form of treatment. As with any drug, physicians are obligated to understand marijuana’s uses and limitations before offering it as a treatment option. Effective January 1, 2015, physicians in Florida may prescribe low-dose marijuana to certain epilepsy and cancer patients. Low-dose marijuana contains roughly half the tetrahydrocannabinol (THC) of the average marijuana plant, while possessing normal levels of cannabidiol (CBD), which is used to treat seizures. The law does contain certain restrictions. Physicians may only prescribe the drug as a last resort if other treatments are not effective, and only to patients to whom they provide ongoing treatment. Patients must be permanent Florida residents. For patients under the age of 18, a second physician must concur with the treating physician’s suggested use of medicinal marijuana. Physicians must register as prescribers of low-dose cannabis and include the name of each patient in a State registry. Physicians must update the registry with each change in or termination of such prescription. Physicians may be guilty of a misdemeanor for prescribing the drug to patients who do not have cancer, symptoms indicative of cancer or seizures. Moreover, before prescribing the drug, physicians must complete an 8-hour training program with the Florida Medical Association. This sentiment is echoed in states where medical marijuana is legal. In 2013, the Journal of the American Board of Family Medicine published the results of a survey of family physicians in Colorado (where medical marijuana has been legal since 2000) regarding their attitudes toward medical marijuana. Those physicians overwhelmingly agreed that further medical education and training is needed about medical marijuana: 4 out of 5 agreed that training should be incorporated into medical school curricula and family medicine residency curricula, and that primary care physicians should be required to receive formal training prior to recommending it to patients. Third, many State laws allow physicians to give patients a card allowing them access to marijuana. (Current law in Florida does not require patients to carry a card.) Prescription of controlled substances typically involves calculation of how much of a drug is delivered to the patient and for how long the drug will remain in the patient’s system. By contrast, there is no reliable delivery system for the marijuana to the patient and its lasting effects are unclear. It is an imprecise science and should be used with caution. 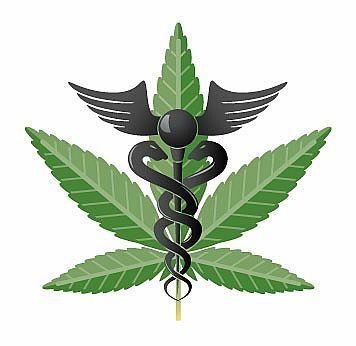 Prescription of medical marijuana may present certain professional malpractice issues for a physician. Physicians are encouraged to contact their malpractice insurance providers prior to prescribing marijuana as a form of treatment. The November ballot in Florida will contain a proposition expanding the use of medical marijuana. The proposed law would allow Florida physicians to prescribe marijuana for a variety of specified diseases, and in the event that a physician believes that the medical use of marijuana would likely outweigh the potential health risks for a patient. The proposition may trigger Florida Pain Clinic registration for prescribing physicians. Pain Clinics are defined as advertising any medium for any type of pain-management services or where in any month a majority of patients are prescribed certain controlled substances for the treatment of chronic non-malignant pain. The Department of Health requires Pain Clinics to register with the State and undergo inspection. Moreover, in the event that Florida views marijuana as a “prescription drug”, prescribing physicians must vet any business relationship to which the physician refers, including marijuana dispensaries or treatment centers. Physician self-referral laws will apply. Finally, physicians are well-served to understand that prescribing marijuana without a full understanding of a State’s law may subject the physician to additional legal liability. For example, the Florida ballot measure to be voted on this November requires each prescription to be accompanied by a “physician certification”, wherein the prescribing physician affirms that in the physician’s professional opinion, the patient suffers from a debilitating medical condition, that the potential benefits of the medical use of marijuana would likely outweigh the health risks for the patient. Physicians must fully educate patients about how marijuana will impair decisions and affect motor skills. Results of patient’s poor choices while under the effects of marijuana may prove disastrous for a prescribing physician. This entry was posted in Anti Kickback, Anti Trust, Compliance Plans, Department of Health, Florida Patient Self Referral Act, Florida Statutes, Healthcare Law, Healthcare Reform, Pain Clinic Regulation and tagged controlled substance, Federal Controlled Substances Act, Florida legalize marijuana, medical marijuana, medical use marijuana, prescribing marijuana, Schedule I. Bookmark the permalink. ← Toxicology Labs Owned by Referral Sources – Is it Really so Wrong?